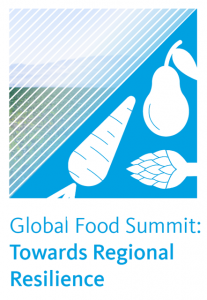 Global leaders and practitioners in the food ecosystem, together with internationally-recognized academic experts, will gather to develop, demonstrate, and disseminate timely and sustainable solutions for the global food challenge. The summit will catalyze future collaboration to address the challenges of global food security, nutrition, and sustainability. Global Food Summit: Sustainable Solutions is the second part of the two-part conference Global Food Security series held at UC Irvine. The Global Food Security Summit will assemble global leaders, practitioners, and academics from across the University of California system, to think critically about the new frameworks designed to address this challenge at the intersection of food security and climate action, to collaborate on the work being done, and to identify priorities that the academic world can and must address. A unifying theme of the two-day summit will be the linked frameworks for ending hunger and addressing climate change established in 2015: the Sustainable Development Goals and the Paris Agreement. In collaboration with the Global Food Initiative and the Office of the President, this convening will facilitate the development of a program of research and education priorities for the Blum Centers, with food security as the entry point for larger interdisciplinary discussions around poverty and development, climate change, and health. Faculty, students, policy makers, and community leaders are invited to attend. Event posted in Blum Center for Poverty Alleviation.